It was way back in January 1989, (Harry Potter had just been born, well Daniel Radcliffe to be precise) that Sue Houghton, the Administration Assistant at RNBT HQ walked through the doors of James Lane House. Sue started her time here as a typist and has seen many changes in her 30 year service. A major change was the addition of the new extension to the building which introduced Castaway House, now the home to 6 other charities. 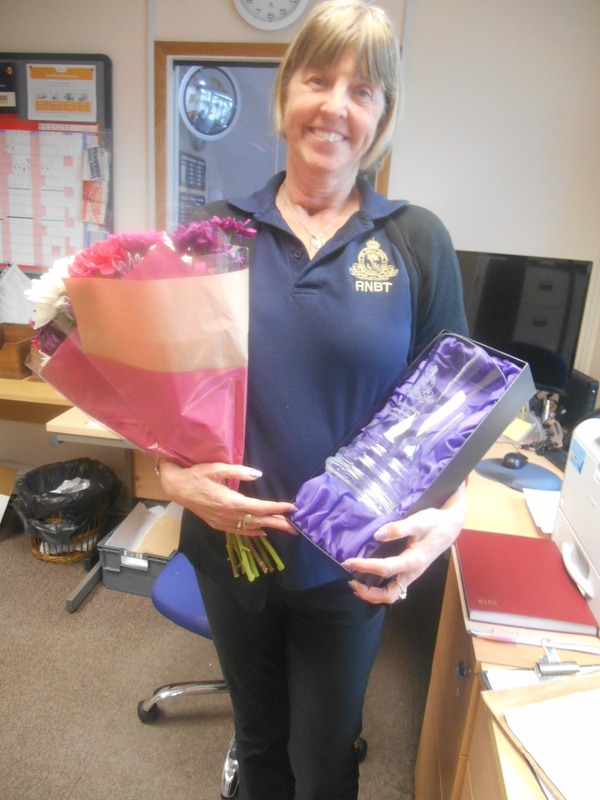 Sue was presented with an engraved vase by the Chief Executive, Rob Bosshardt in recognition of her 30 years loyal service.